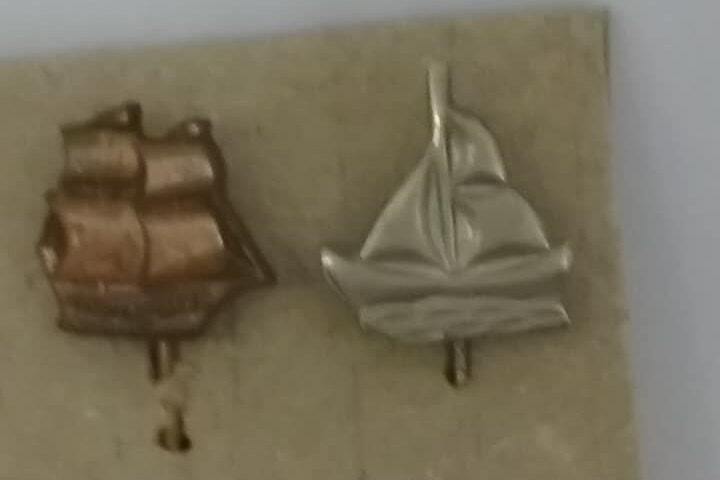 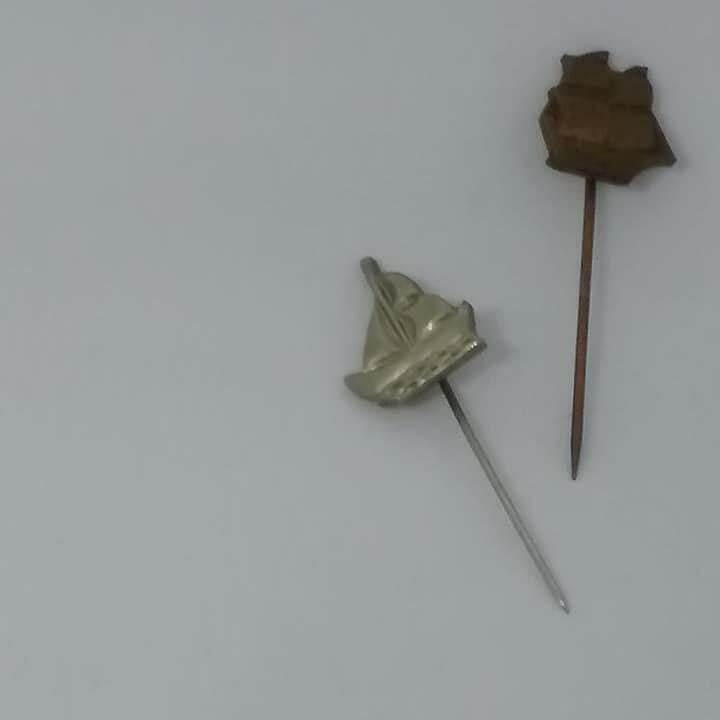 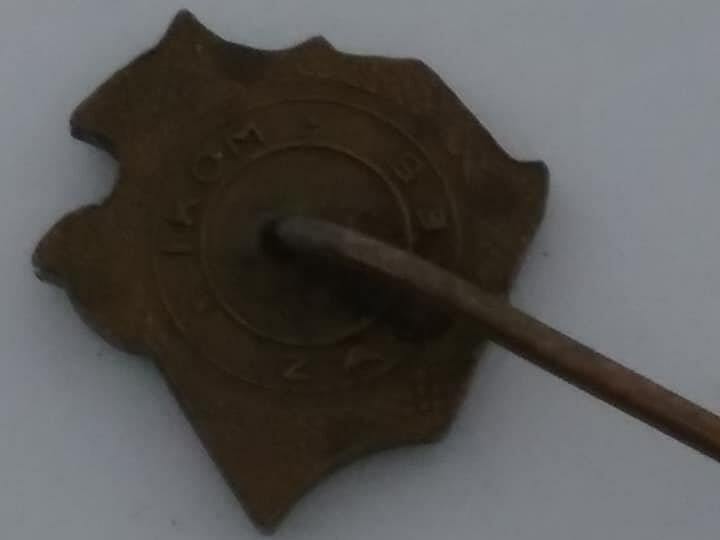 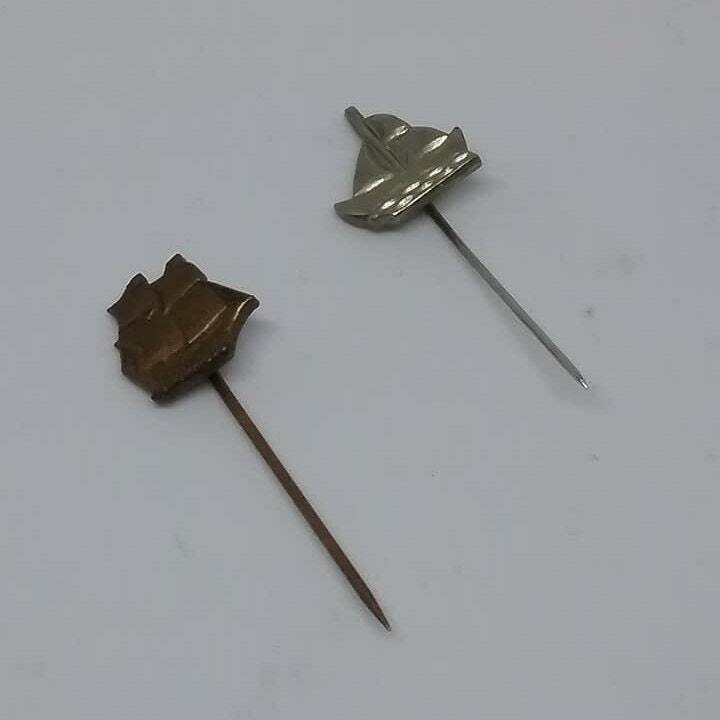 Vintage ship stick pins, military badges of Yugoslavia. 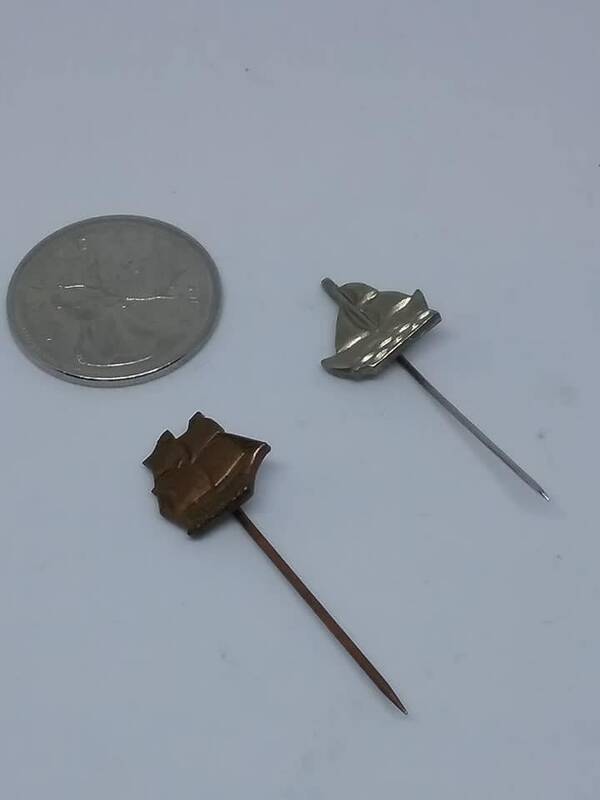 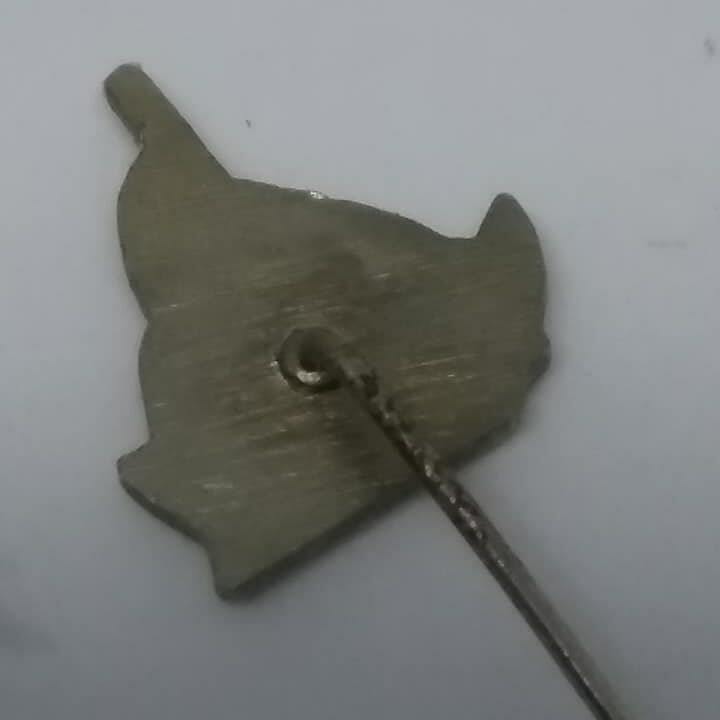 Silver tone is 0.52"x0.56" and bronze tone is 0.48"x0.512". 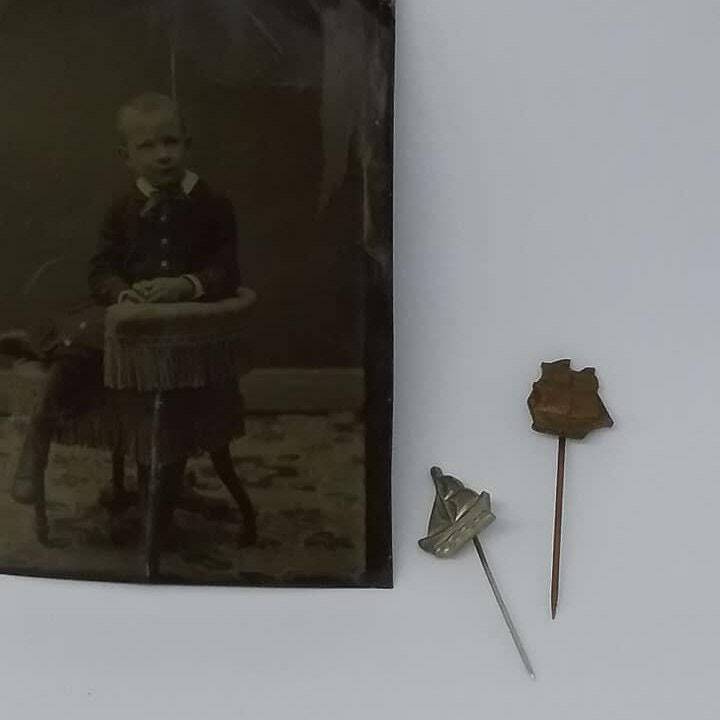 In very good vintage condition, these pins are made by, AUREA CELJE. 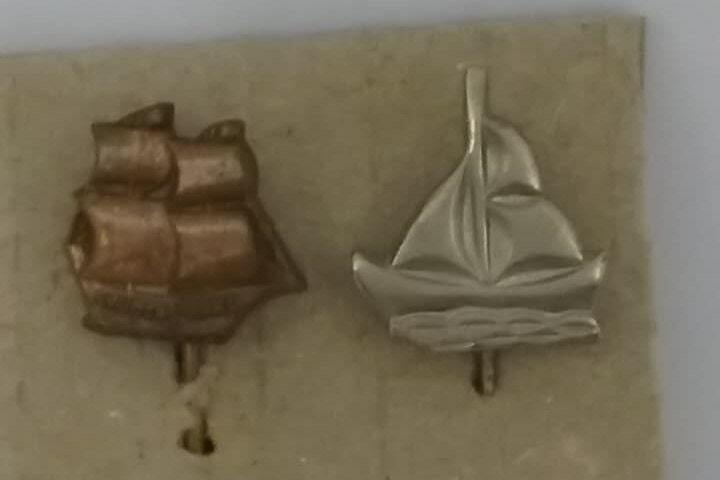 Would make a great retirement gift for the nautical collector, or worn as an accessory for Steampunk cosplay.